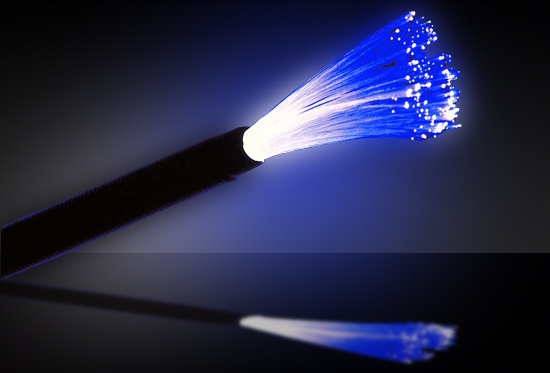 Used extensively by cable and telephony companies to provide fast connections to the Internet, fibre optic cable transmits data signals in the form of light. This light channel consists of two main parts: core and cladding The cladding acts as a protective cover to core. The difference in density of core and cladding is such that a beam of light moving through the core is reflected off the cladding, instead of being refracted into it. Fibre optic cable is light weight, and it does not have the signal degradation problems that the other two data cables suffer. 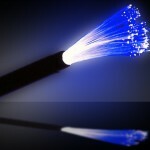 However, fibre optic cable is very fragile due to the glass parts of the cable and is more expensive. Two modes of propagation of light are possible in optical fibre such as: multimode and single mode. Multimode fibre allows multiple beams from a light source move through the core. There are two types of connectors for fibre optic cables. The SC connector is used for cable TV, and ST connector used for connecting cable to networking devices. 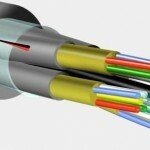 Attenuation in fibre optic cable is very low compared to other two types of cable. It provides very high bandwidth and immunity to electromagnetic interference. Being light weight and less likely to get trapped, fibre optic cables makes it more preferable to cable installation companies. Fibre optic cable is often used in backbone networks because of its wide bandwidth and cost effectiveness.